Since we're having these for dinner tonight, I figured I should finally post the recipe. 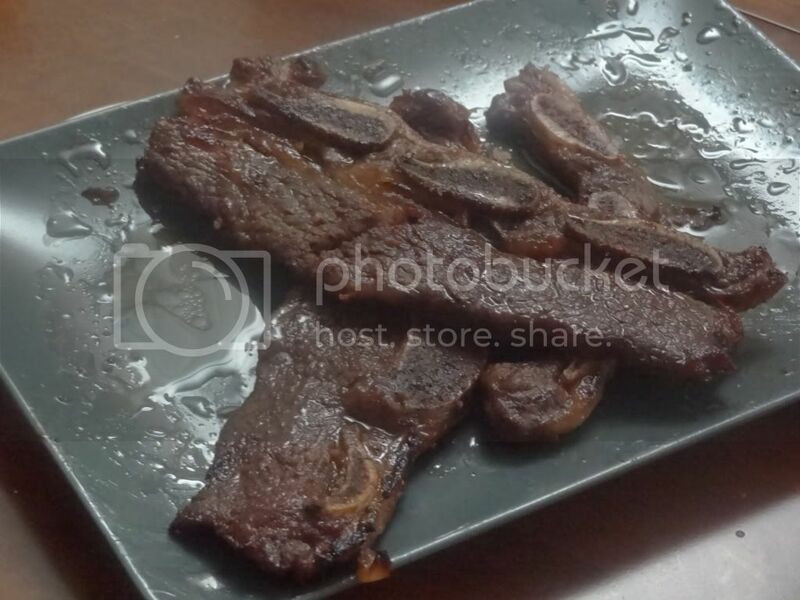 One of my favorite Korean takeout dishes is kalbi beef ribs. They're marinated in soy sauce mixture, then fired on the grill. I've made them using an indoor grill pan with great results (albeit with a smokey house). This recipe from Allrecipes.com is super easy and pretty near the flavor I was aiming for. I would have liked a little heat, but my husband thought they were perfect. 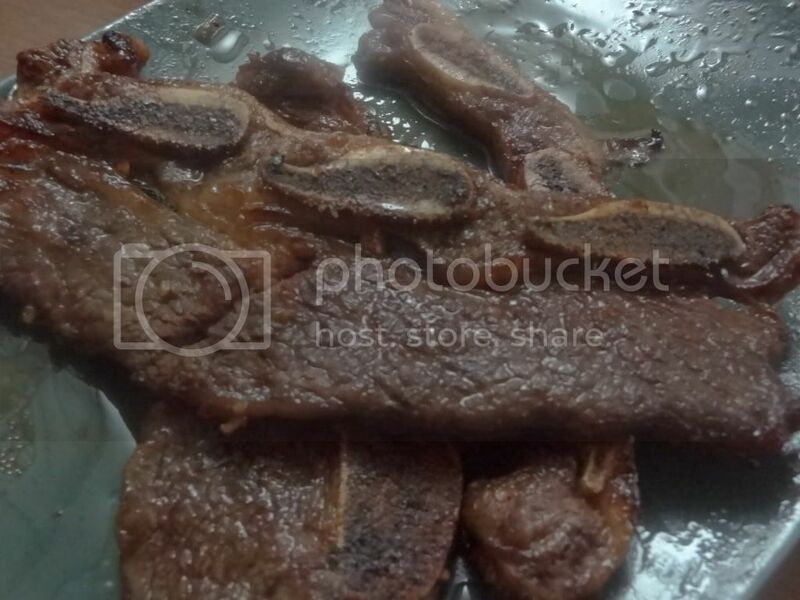 As you can see from the picture, they're a tad greasy but that just adds flavor to the rice :) In the grocery stores at home in Hawaii, the ribs are labeled "kalbi," but you might have to have them cut by the butcher as described below. Enjoy with brown rice and something green. Briskly whisk together all ingredients except ribs until sugar has dissolved. Marinate ribs in the refrigerator for 3 hours to overnight. Preheat an outdoor grill for medium-high heat, and lightly oil the grate. Before placing ribs on grill, shake off excess marinade and discard rest. Grill until cooked to your liking, about 3-5 minutes per side, preferably with a nice char.